.com living: Netflix as a paradigm...or it's the content, stupid!! Netflix as a paradigm...or it's the content, stupid!! There is no doubt that the significance of content in the media and digital spaces is paramount, and that thousands of reports, articles, books and posts have been written about it. Even major corporate deals have been reportedly completed - Verizon's recent acquisition of AOL is a case in point - on the basis of content. Content is king and becoming more and more significant. And when speaking of content, Netflix is one of those names that comes to mind right away. I have had some sort of direct experience about this most recently. Netflix, HBONow, Sling, Hulu, Amazon Prime... it is amazing how quickly you can get used to the seamless experience of having all the shows, documentaries and movies (i.e. content) you want within your reach at any time, without neither ads nor schedule constrains. Today, I am all in when it comes to cutting the cable cord. And I was not aware that I felt so strongly about it until circumstances have forced me to change my adopted habits and get back to cable tv. My entertainment menu while in the U.S. came from over-the-top services such as Netflix, Amazon Prime and, more recently, HBONow. I have digested content like crazy, at my own pace, whenever I have wanted to. However, after landing in Spain I confirmed my fears: none of these services is available in Spain (well, Netflix just announced its forthcoming Spanish launch on October 20, thank god). That has led me to Telefonica's pay-tv offering which, in turn, has quickly discouraged me from watching tv at all. I can't stand the experience, I seldom find interesting content at a time that works for me. Unfortunately, Spain has traditionally be at the very top in the global piracy rankings, both in relative and absolute terms. It is also often said that this is the result of a country culture. I am not gonna say that the latter is not partially true, but I am also pretty sure that the reality would be a very different one had Netflix or others been around for quite some time. Changing the existing mindset and making people pay monthly to get content is going to take a while. 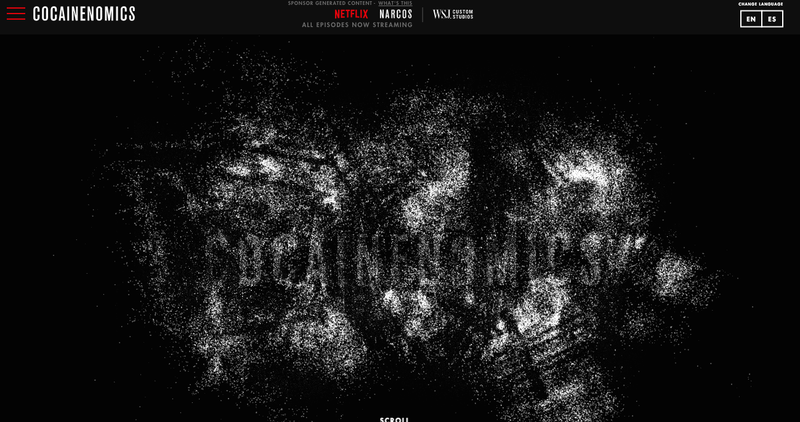 Speaking of Netflix as a paradigm of good and relevant content, I couldn't help sharing their latest native advertising campaign - Cocainenomics, on the occasion of the premiere of "Narcos" - on the Wall Street Journal. It is jaw-dropping. Native advertising is a growing trend in digital advertising: it is the practice of making an ad on a platform resemble the look and feel of whatever content the user is there to see or read. 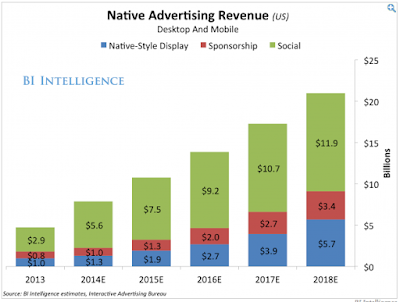 This a growing digital advertising segment has been forecasted to be worth $5-10 billion in 2016. All experts point out that, in order for native advertising to become the more engaging tool it is for the user, advertisers need to be able to tell stories, to connect with their audience, to address the later's needs. And content - more accurately, the meaningful and quality content - is the secret ingredient that guarantees success, for both publishers (more money) and brands (more brand awareness)...and readers (engagement).